Arsenal moved back into the Premier League’s top-four with victory over Watford yesterday evening. The Gunners recorded a 0-1 victory over the 10-man Hornets at Vicarage Road. 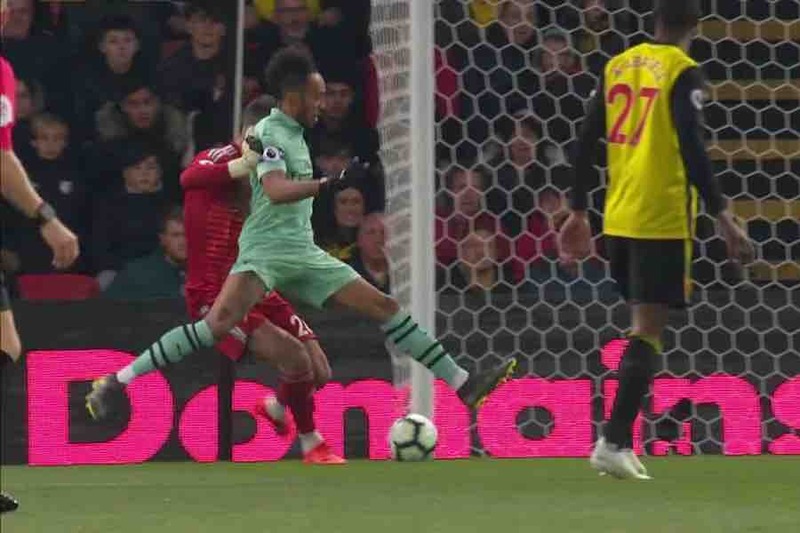 Pierre-Emerick Aubameyang’s 10th-minute goal, after capitalising on a Ben Foster howler, proved to be the only goal of the game. Watford had captain Troy Deeney sent-off for an elbow on Lucas Torreira a minute later. After the final whistle, the Arsenal players took to social media to react to the game. Here’s what they had to say.